General Fuller, Didn't You Know That Keeping It Real in Afghanistan Can Get You Sacked? 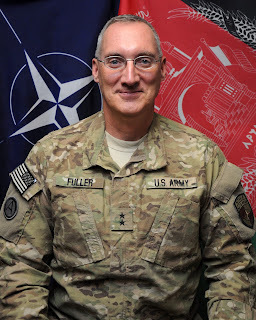 Maj. Gen. Peter Fuller, deputy commander of the American-led NATO effort to train and equip Afghan security forces gave an interview to POLITICO last week. He said lots of things in that interview that you and I already know, and that U.S. officials already think but won't admit publicly for obvious reasons. This is not the first time that President Karzai and "erratic" had been used in the same sentence. Apparently, frustrated diplomats and foreign statesmen have called the president of Afghanistan "as erratic, emotional and prone to believing paranoid conspiracy theories." But no one gets fired for writing that in a cable. Read this account here from the Guardian (WL coverage from the Guardian, you may go blind if read from a work computer). I am pleased to see that a two-star general went on the record to say the things he said. I'm sorry he got sacked and may be forced to retire. But you don't get to become a general by accident or by political connections, unlike some of our ambassadors. He must know that what he said in the interview will be reported widely. I don't think he is naive enough to think that there will not be any career repercussions. It's not like they're just kicking cans and this came up. So, that leaves me thinking -- either his frustrations with his Afghan counterparts have become crazy bad, or he knew what's coming, but may have thought the flap is worth it if this gets some airing. I particularly like the "poke me in the eye with a needle," (ouchy!) and the "cod's on the menu today." There is a poem in there somewhere. Fuller recently involved Afghan generals in a strategic review of the U.S. mission and said that they didn’t understand the extent to which America is in economic distress. In fact, the Afghan government made requests for F-16 fighter jets and tanks, even without the budget to use or maintain them, said Fuller. “I actually had someone senior tell me, ‘All I want to do is put them [tanks] on a flat bed and drive them around in a parade,” he said. As the Deputy Commander for Programs Maj. Gen. Peter Fuller is responsible for planning and executing resources in order to generate and sustain an Afghan Army of 195,000 and an Afghan Police Force of 157,000 by November 2012. Fuller joined the NTM-A / CSTC-A team from the Program Executive Officer- Soldier. A native of Andover, Md., Major General Fuller was commissioned a second lieutenant in 1980 after graduating from the University of Vermont with a Bachelor of Arts in History and Political Science. He also holds: a Master of Science in Public Administration, Shippensburg University, Shippensburg, Pa.; a Master of Science in Military Arts and Sciences, U.S. Army Command and General Staff College, Fort Leavenworth, Kan; and a Master of Science in Resourcing of the National Security Strategy from the Industrial College of the Armed Forces, Fort McNair, Washington, District of Columbia. His awards include the Distinguished Service Medal, Legion of Merit (with two oak leaf clusters); Defense Meritorious Service Medal; Army Meritorious Service Medal (with two oak leaf clusters); Army Commendation Medal (with oak leaf cluster); Southwest Asia Liberation Medal; Army Achievement Medal (with oak leaf cluster); National Defense Service Ribbon; Army Service Ribbon; Army Parachutist Badge; Office of the Secretary of Defense Identification Badge; Army Staff Identification Badge; and the Overseas Ribbon. 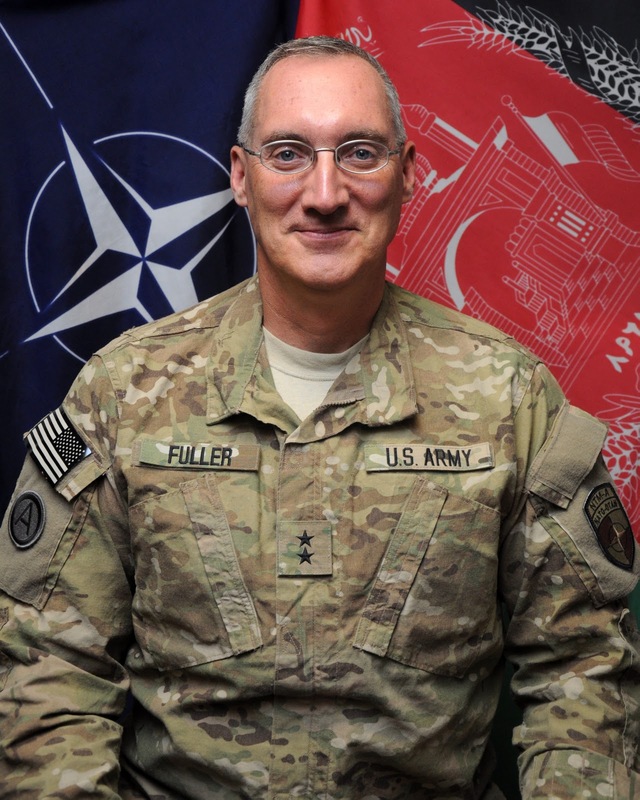 Danger Room's Spencer Ackerman writes that "Getting fired from Afghanistan doesn’t necessarily end Fuller’s Army career. But that career will be in need of serious rehab if Fuller doesn’t opt to retire. All for saying something that a lot of people in the military quietly agree with — even if they know better than to tell it to a journalist." Whether he gets his career rehabilitated or he gets retirement, I don't know. But it seems a certainty that his successor, too will need to educate the Afghans on the sacrifices that America is making to provide for their security. But he must do it gently and carefully so as not to offend their feelings, see? It doesn't matter that they, too, offend our feelings. I'm sure General Fuller's successor will get a couple of advice like, 1) stay away from loaded words like, "needle", "poke", "eye", "cod", "erratic", and a host of other words that are seen as inappropriate. Even if they're true. And 2) stay away from journalists, because they write stuff down. Every once in a while, it's up to someone to "take one for the team". Time will tell whether this breach of military PR etiquette was of good value. I am inclined to think that this time, it was.